That phrase mimics real life this week for DeSoto. The 44th Annual Hometown Holiday Parade has been postponed due to a scheduling conflict because of the DeSoto Eagles playoff game. The “Beary Special” Christmas Celebration was originally scheduled for Saturday, December 3, at 5:00 p.m. 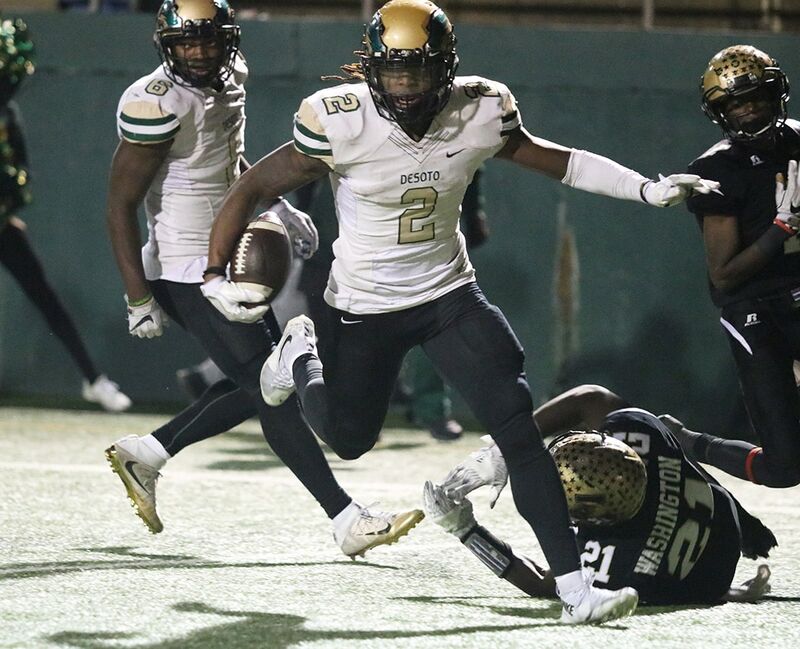 Following the DeSoto Eagles victory over Abilene 49-45 this past week, they now advance to the 6A-Division II Semifinals Round of the Playoffs. “DeSoto is a football town and when our beloved DeSoto High School Eagles advance to the 6A D2 playoffs on the same date and time as our Holiday Parade, the parade must be postponed,” said DeSoto Mayor Curtistene McCowan. While DeSoto’s population exceeds 50,000, it is still a small town. Even more to the point, to face a rivalry opponent during Week 5 of the playoffs is uncommon. DeSoto (13-0) will face Cedar Hill (11-2) at AT&T Stadium Saturday at 5:30 p.m. The Eagles served the Cedar Hill Longhorns their only district loss during the Week 3 Battle of Belt Line, 33-18. The 44th Annual Hometown Holiday Parade was set to occur Saturday, December 3, 2016 beginning at 5:00. A new date for the parade has not been announced. Normally the parade begins at the intersection of Seahawk Drive and Hampton Road and will conclude at the DeSoto Town Center. Lady Jade of K104 was set to be this year’s Grand Marshal and Langston University’s Marching Pride Band will be performing. 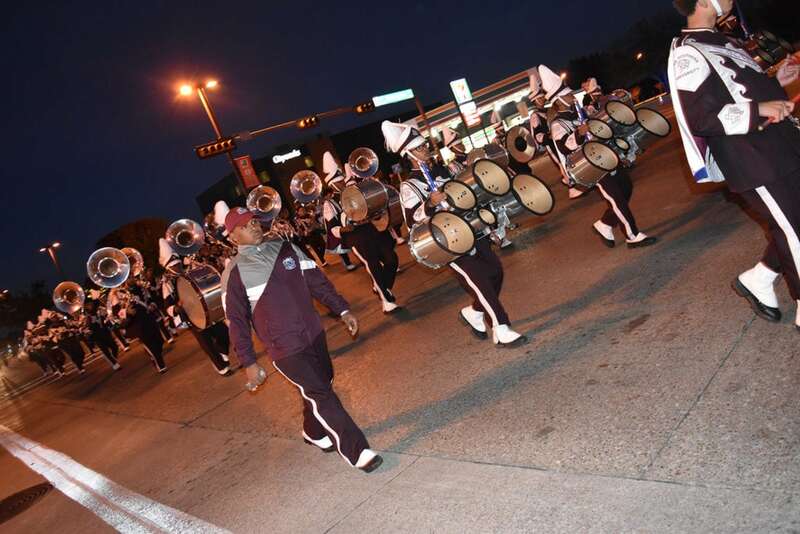 Last year the Texas Southern University Ocean Of Soul Marching Band were on hand to performs.